Disaster health is a relatively new discipline. Knowledge of the current status of its evidence base is required to develop a roadmap for the direction and structure of future studies that will contribute to developing the science of disaster health. To this end, 709 consecutive, peer-reviewed articles published from 2009-2014 in Prehospital and Disaster Medicine (PDM) and Disaster Medicine and Public Health Preparedness (DMPHP) were examined: 495 were disaster-related (PDM, 248; DMPHP, 247). Each disaster-related article was assigned into one of three major categories: (1) Epidemiological; (2) Interventional; or (3) Syntheses. Half of the articles were epidemiological, but had no common structure or terminology and the descriptions provided were shallow. Studies of disaster-related interventions comprised only 20% of the articles of which 23% were related to relief responses and only 2% (0.4% of disaster-related) to recovery. Indicators of outcomes were constrained to achievement indicators (numbers of persons evaluated or treated). Thus, the scientific literature tells us little about what was done, why it was done, who did it, and what was the outcome and impact. The articles had no common structure or language. Syntheses (27% of disaster-related articles) consisted of summaries of available information combined with experience and opinion; opinions and suggested models each contributed 25% of the syntheses articles (13% of total disaster-related articles). Literature reviews comprised only 5%, and Suggested Frameworks, Guidelines, Protocols, and Tools each comprised <4% of the 495 disaster-related articles examined. There was no common structure or language used for the syntheses. No randomized trials, non-randomized controlled studies (quasi-experimental), or systematic reviews were published in either journal during the five years examined. These findings confirm that high levels of scientific evidence are sparse in the peer-reviewed, disaster health literature, and that much of our understanding and practice of disaster health is based only on evidence-informed and eminence-based information. Building a stronger evidence base to develop the science of disaster health will require a common structure and terminology to facilitate comparisons/syntheses. Greater depth is needed for epidemiological reports to be useful in mitigating the health impacts of hazard-related events; merely reporting the numbers of persons injured, killed, displaced, and transferred does not contribute to evidence that impacts our ability to improve outcomes. More comprehensive inventories of what injuries or diseases were sustained, where they occurred, where and how people died and were treated, etc. are needed to identify potentially preventable mortality and morbidity. More comprehensive descriptions of the precipitating events are required in order to align and compare reports for synthesis. Interventional studies should be structured using the Disaster Logic Model, and must report outcomes, impacts, benefits, and costs using robust indicators. The outcomes and impacts of risk-reduction interventions will require the evaluation of changes in the epidemiology documented in future events or exercises. Given the rarity of randomized trials and other controlled studies, the science of disaster health must be built on comparisons of findings from multiple studies and systematic reviews that bring together the relevant evidence to answer important questions. Syntheses will be enhanced through the use of common structures, language, and the use of a systematic approach. Building the science of disaster health to the next level will be a gradual process. Given the breadth of disaster health, priorities (a road map) must be agreed and implemented (as was done in Evidence-Aid’s prioritization of systematic reviews). An interim, less-stringent method (i.e., the use of consensus conferences) might be used as a temporary means of providing standards and best practices and for codifying the available epidemiology to provide the knowledge required to anticipate what to expect from a given hazard in a given setting. This will allow interventions to be developed that will augment the absorbing, buffering, and/or response capacities of a community-at-risk. It is time to take the next step toward establishing a robust scientific base for disaster health, and it will require collaboration between many stakeholders. Research and Evaluation of the Health Aspects of Disasters, Parts I-IX, Prehosp Disaster Med 2015-2016, Volumes 30 and 31. Emergency and Humanitarian Action, World Health Organization, Regional Office for South East Asia. Tsunami 2004: A Comprehensive Analysis, Au. Birnbaum ML, Kohl P, Ofrin R, Daily, EK. ISBN 978-92-9022-435-8; NLM Classification number HC79.D45. SEARO: India. 2013. Kulling P, Birnbaum ML, Murray V, Rockenschaub G. Guidelines for Reports on Health Crises and Critical Health Events. Prehosp Disaster Med 2010;25(4):377-381. Evidence Aid Priority Setting Group. Prioritization of themes and research questions for health outcomes in natural disasters, humanitarian crises or other major healthcare emergencies. PLOS Currents: Disasters 2013 October 16; Edition 1. http://currents.plos.org/disasters/article/dis-13-0023-prioritization-of-themes-and-research-questions-for-health-outcomes-in-natural-disasters-humanitarian-crises-or-other-major-healthcare-emergencies. Norton I, von Schreeb J, Aitken P, Herard P, Lajolo C. Foreign Medical Teams Working Group, Global Health Cluster. Classification and Minimum Standards for Foreign Medical Teams in Sudden Onset Disasters. http://www.who.int/hac/global_health_cluster/fmt_guidelines_september2013.pd. Accessed February 7, 2015. Clarke M, Allen C, Archer F, Wong D, Eriksson A, Puri J. What evidence is available and what is required, in humanitarian assistance? 3ie Scoping Paper 1.New Delhi: International Initiative for Impact Evaluation (3ie) 2014. http://www.3ieimpact.org/media/filer_public/2014/12/17/3ie_scoping_paper_1-humanitarian-top.pdf. Knox Clarke P, Darcy J. Insufficient evidence? The quality and use of evidence in humanitarian action. ALNAP Study. London: ALNAP/ODI 2014. http://www.alnap.org/resource/10441. Marvin L. Birnbaum, MD, PhD is an Emeritus Professor of Medicine and Physiology with the University of Wisconsin. He is past President of the World Association for Disaster and Emergency Medicine (WADEM), is the immediate past Chair of its Board of Directors, and continues on its Board. He represented the WADEM as a partner in the UN Global Health Cluster. He served as the Editor-in-Chief of Prehospital and Disaster Medicine for 23 years and continues as its Editor-in-Chief Emeritus. 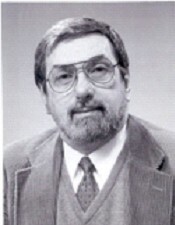 Dr. Birnbaum formerly served as Medical Director of the Emergency Education Center and the Paramedic Training Program of the University of Wisconsin Hospital and Clinics. He also was the Medical Director of Emergency Medical Services for the UW-Madison Division of Intercollegiate Athletics, as the Medical Director for the City of Madison Fire Department, and Vice-Chair of the State of Wisconsin EMS Board. He is a retired Critical Care and Pulmonary Medicine Physician and served as the Director of the University of Wisconsin Center for Trauma and Life Support and its Mobile Critical Care Program. He served as a Flight Surgeon for Flight Test of the Systems and Logistics Commands of the USAF. He continues to teach in the University of Wisconsin School of Medicine and Public Health and the University of Wisconsin Hospital and Clinics Emergency Education Center, and consults for the World Health Organization and its Regional Offices. His current primary interest is in establishing the science of Disaster Health and together with Elaine Daily and Ann O’Rourke recently has published Frameworks for Research and Evaluation of the Health Aspects of Disasters, Parts I-IX (PDM Volumes 30 and 31, 2015-2016). He has published more than 200 papers in the peer-reviewed literature.